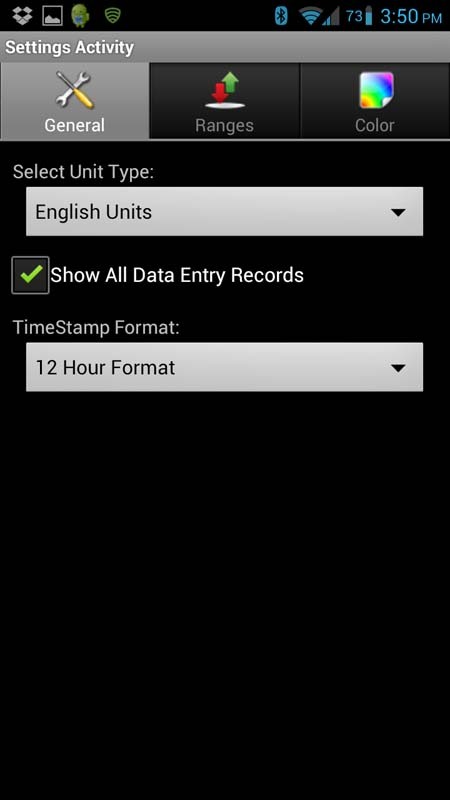 Both Apps are required this will simply unlock the Free App. 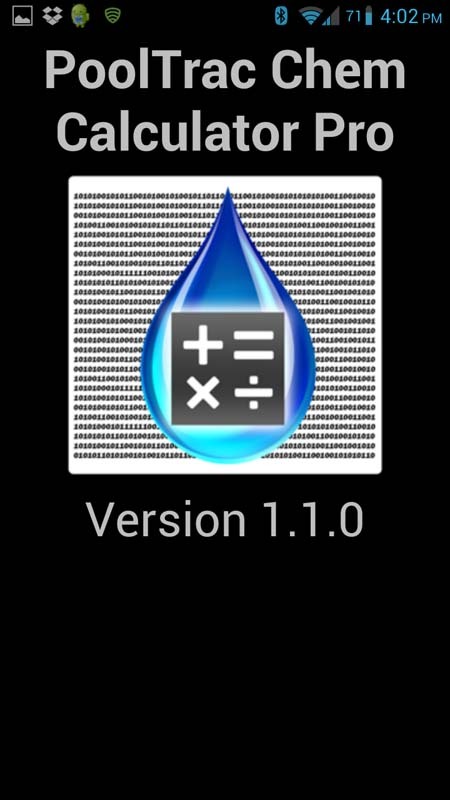 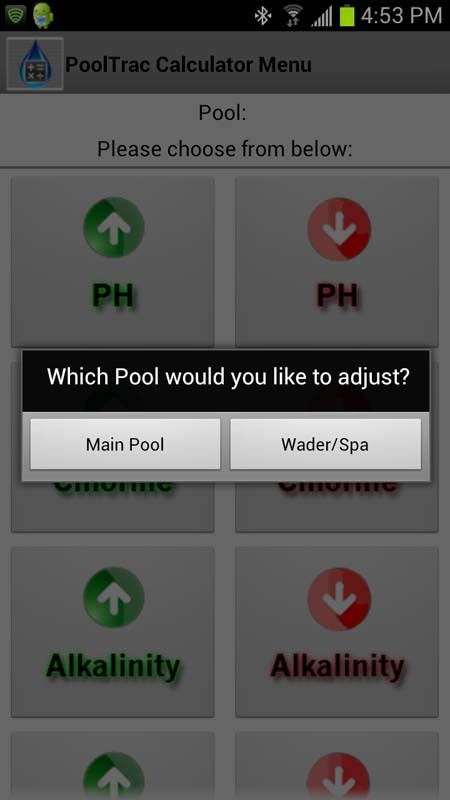 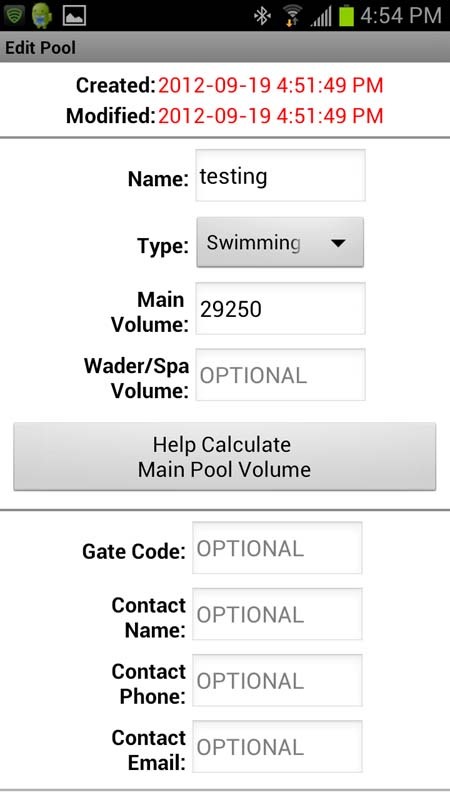 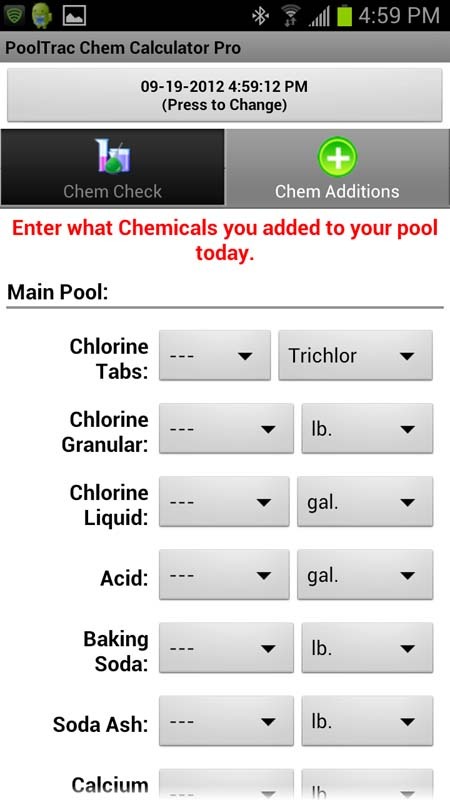 The PoolTrac Chem Calculator is a fast, simple and user-friendly app allowing you to quickly calculate pool chemical additions with a pool volume calculator. 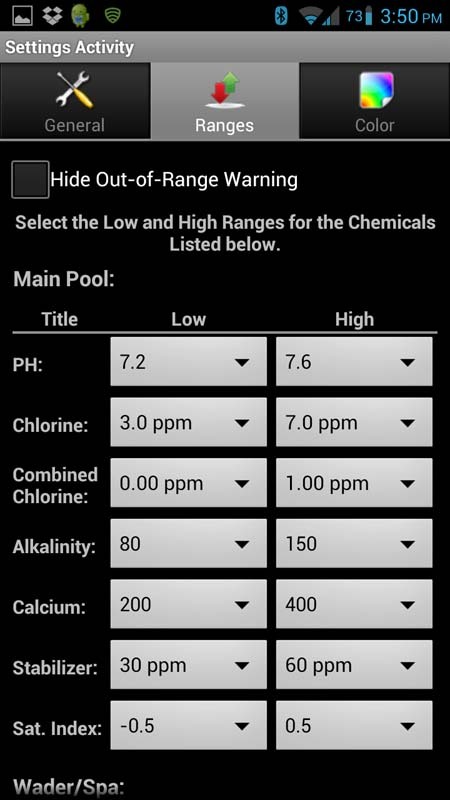 Not only does the PoolTrac Chem Calculator help with chemical calculations, it also calculates your saturation index. 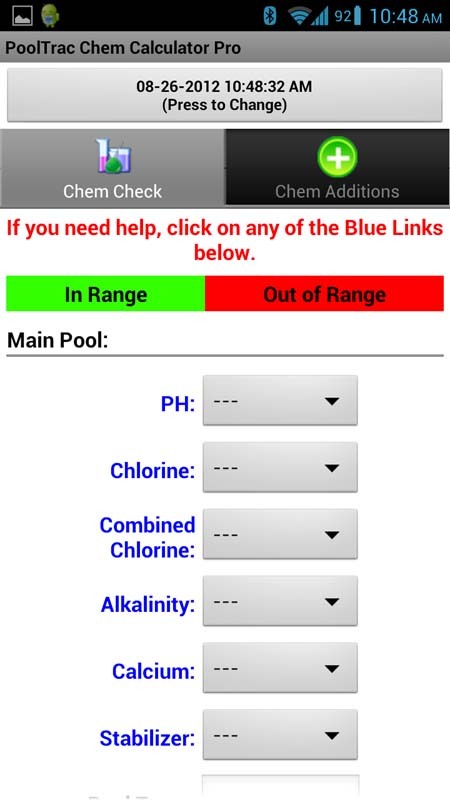 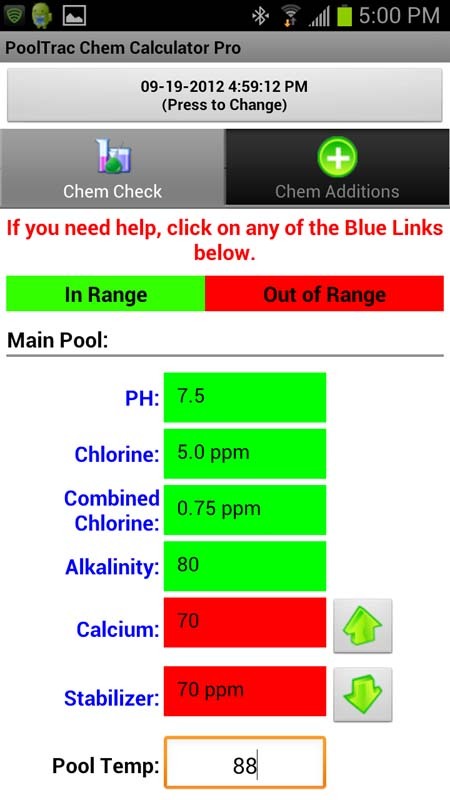 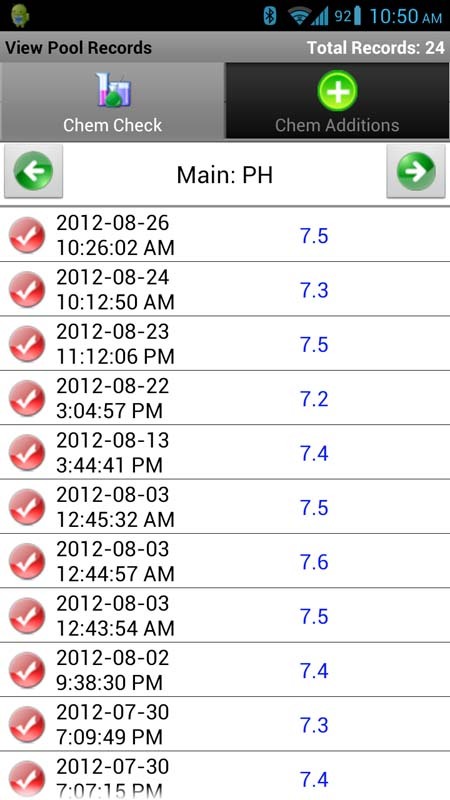 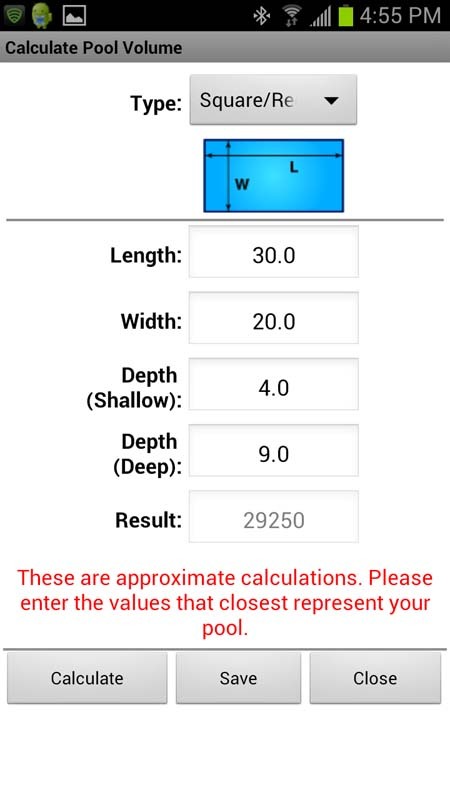 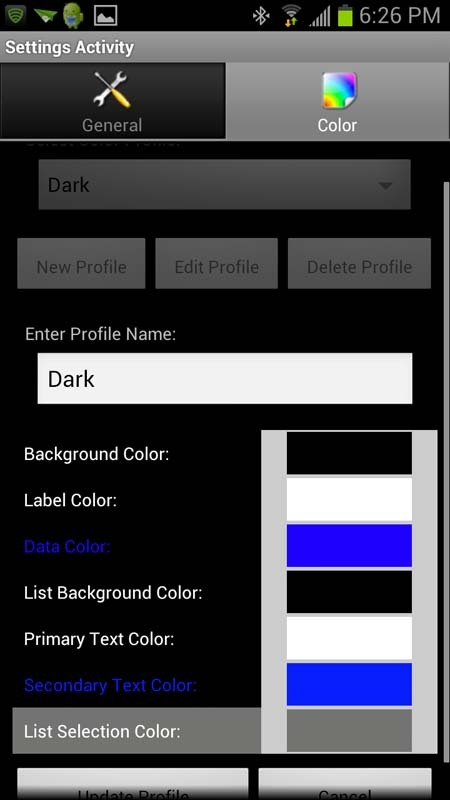 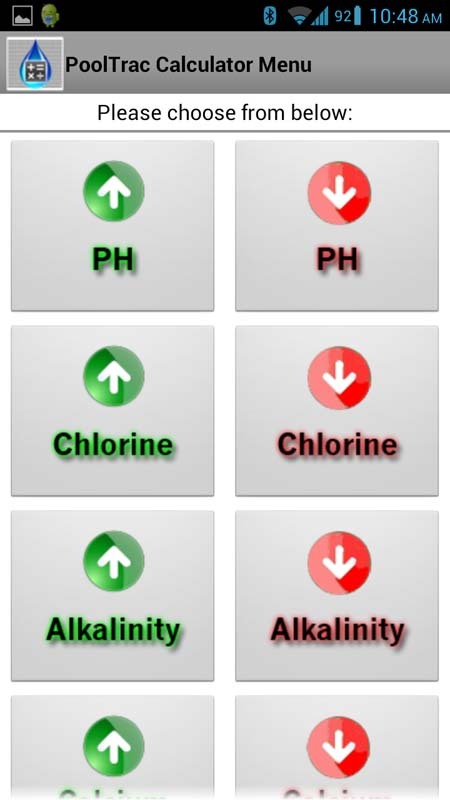 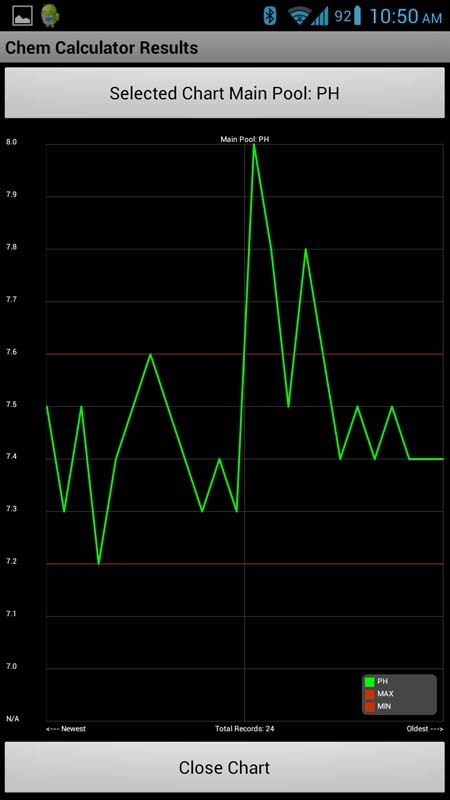 Download the free PoolTrac Chem Calculator App today! 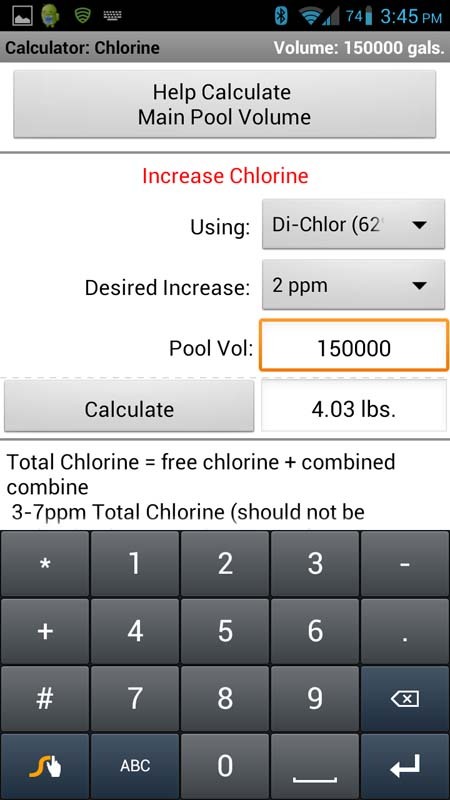 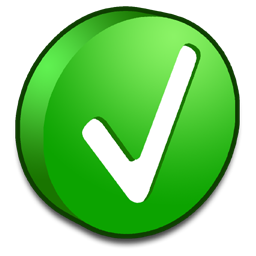 The PoolTrac Chem Calculator Pro adds recordkeeping capabilities, which allows users to reference previous records. 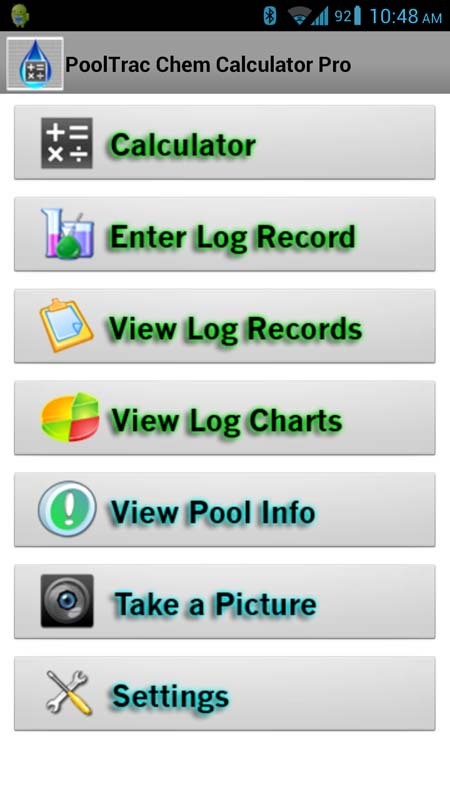 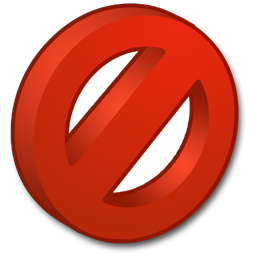 For only $1.99 your company can be on the right track towards quality control and accurate recordkeeping!